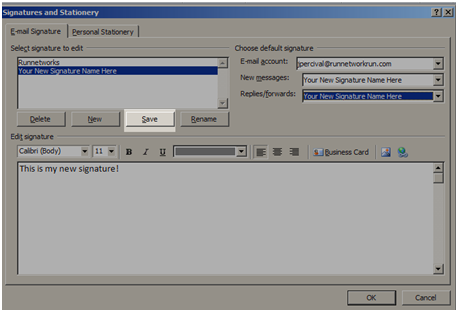 This guide will walk you through how to edit a signature or even create one if have not created a signature yet. 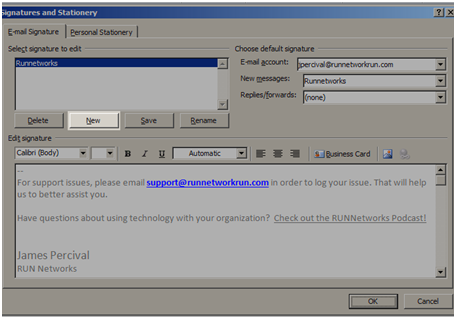 This will append text to the end of your emails, similar to a footer in a document. 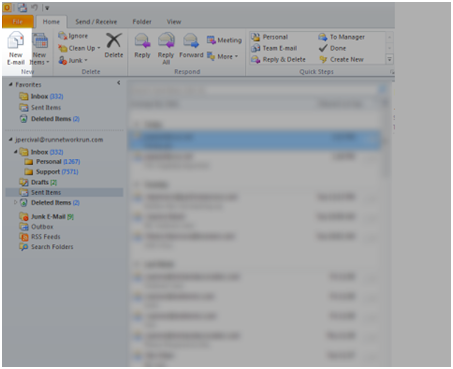 Open Outlook 2010 and click on New E-Mail. The name does not really matter, just a title for the signature. 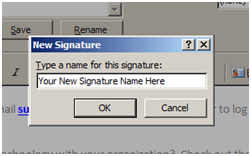 Click Ok when you have named the signature. 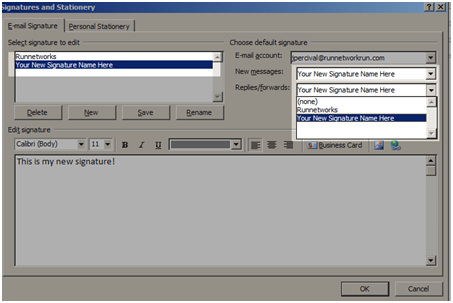 Select your new signature on the left. 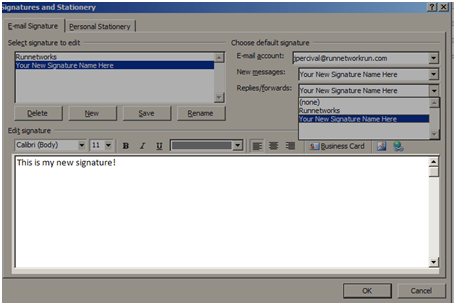 Confirm Replies/Forwards is also your new signature. 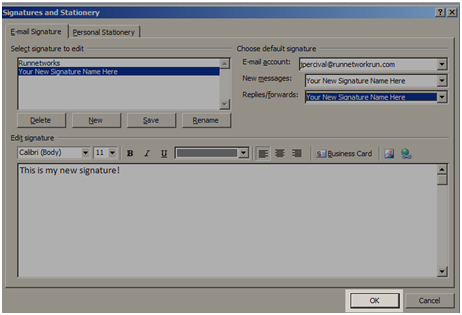 Type your new signature into text box.